The Alamo Nevada criminal defense attorneys at Justice Law Center are dedicated to defending your rights. Call us today at 775-725-3700. 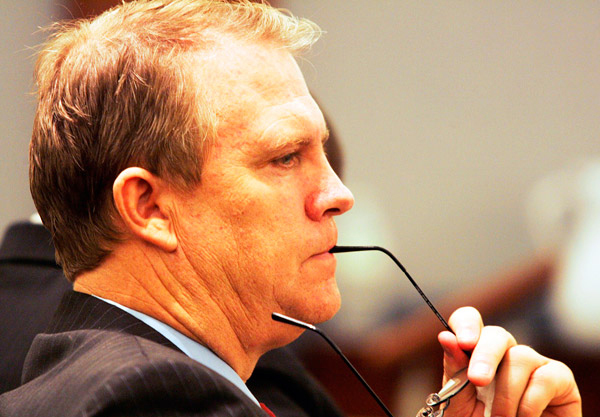 The Alamo Nevada criminal defense attorneys at Justice Law Center are dedicated to defending your rights. We are committed to the presumption of innocence. We believe in our clients and will defend their rights. 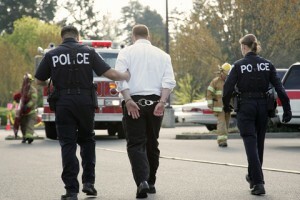 Trust your defense to a Alamo Nevada criminal defense attorney. We will review your unique case with care and use our know-how to get your charges dismissed or reduced. We are not afraid to go to trial to defend your rights and freedom. Our skilled Alamo Nevada criminal defense attorneys have accumulated dismissals by arguing self-defense and/or lack of intent to cause harm, by discrediting witnesses, by proving that the victim gave a false report at the time of the incident, and by capitalizing on inconsistencies in the police report(s). Call 775-725-3700. See Nevada Revised Statute 33.018 for definition of Battery Domestic Violence. Arguments happen. Sometimes things get out of control. Sometimes facts are embellished or eye-witness accounts are wrong. Sometimes a person is arrested even though it was self-defense. Sometimes an officer mistakenly connects yesterday’s bruise to today’s spat. Often an officer will state, “One of you is going to jail. You guys decide who.” None of this is fair or just. A Battery Domestic Violence conviction goes on your record. First and second offenses are misdemeanors in Nevada. If strangling or use of a weapon is involved, it becomes a felony. A third offense is also a felony. Penalties involve hundreds of hours of community service, thousands in fines and fees, and up to five years in prison. These charges can also result in the loss of various rights. This includes the right to own firearms and/or to possess a CCW permit. Other possible effects include Temporary Protective Orders, losing custody of your kids, losing your job, and severely limiting hope for future employment. A case is not automatically dismissed if the alleged victim recants his or her statement. A prosecutor may continue to press charges even if the accuser admits to making false allegations. This is done by calling on witnesses, using police reports, and relying on photos. Our skilled Alamo Nevada criminal defense attorneys have obtained many dismissals by arguing self-defense and/or lack of intent to cause harm, by discrediting witnesses, proving that the victim gave a false report, and capitalizing on inconsistencies in police report(s). 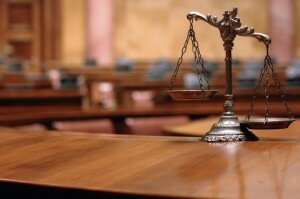 Our Alamo Nevada criminal defense attorneys will fight for YOU. Our Alamo Nevada criminal defense attorneys specialize in reading arrest reports, analyzing lab results, and using that information to negotiate your case with the prosecuting attorney to obtain the best outcome, which usually includes no jail sentence, a significantly reduced fine, and a DUI class. Call 775-725-3700 to talk to a Alamo Nevada criminal defense attorney today. By driving in the state of Nevada, you have given permission for your breath or blood to be tested for the presence of alcohol and/or other drugs. This is regardless of which state issued your driver license. See Nevada Revised Statute 484C.160. A Nevada driver license is property of the state may be confiscated at any time, including during a DUI arrest. If you do a breathalyzer test at the time of arrest, and the results show a blood alcohol content of .08 or higher, the officer will confiscate your license on the spot. This suspends your driving privileges. You will be given a pink slip of paper that allows you to drive for SEVEN days. During that time, you may contact the Department of Motor Vehicles to request an administrative hearing. Two days after, you may visit any full-service DMV office to obtain a temporary license that will allow you to drive until the hearing. If you opt for a blood test instead of a breathalyzer test, your license will not be confiscated at the time of the arrest. You will be notified of the test results by mail, and the DMV will notify you of specific dates of license suspension, should they impose such. You then have SEVEN days to go through the same steps as above. In either case, the DMV hearing MUST be within 90 days of the date of revocation. You will be notified by mail with the date, time, and location. The criminal charges dictate the fine, jail sentence, insurance increase, and the possible negative impact on employment. Our goal is to get your charges dismissed, or at the very least, reduced. Our Alamo Nevada criminal defense attorneys are well-versed in reading arrest reports, analyzing lab results, and using that info to negotiate your case with the prosecutor. The final outcome usually includes no jail sentence, a significantly reduced fine, and a DUI class. Our Alamo Nevada criminal defense attorneys employ a team of highly-qualified experts that will work on your case diligently.